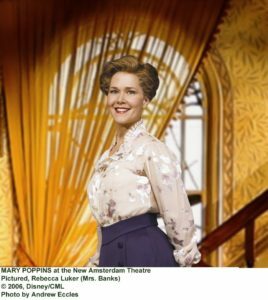 In celebration and anticipation of our Spring musical, The Secret Garden, RU School of Performing Arts proudly welcomes Broadway star, Rebecca Luker to campus. She was in the original Broadway cast of The Secret Garden as “Lily”, opposite Mandy Patinkin. It premiered in 1991 and ran for 709 performances. She has also been nominated for Tony awards for her work in Mary Poppins, The Music Man and Show Boat, and recently appeared in the Tony award winning production of Fun Home in 2015 on Broadway. Ms. Luker will give a masterclass in Falany Hall, Monday, February 11th at 7:30. She will perform, talk about her experience creating her role in the show, and offer a talk-back to our students and community about her career. Please bring friends and family to this exciting, FREE event!